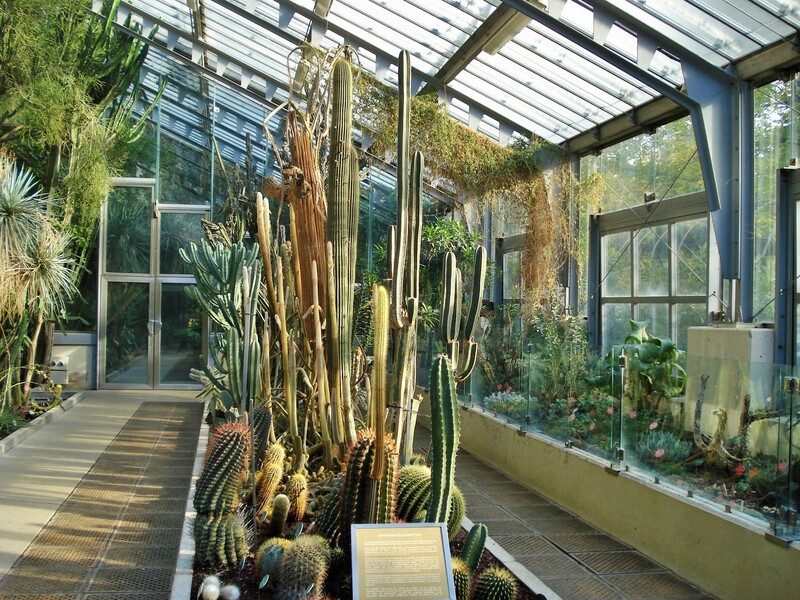 The Royal Botanical Gardens in Madrid cover eight hectares in the heart of the city, next to the world famous Prado museum. 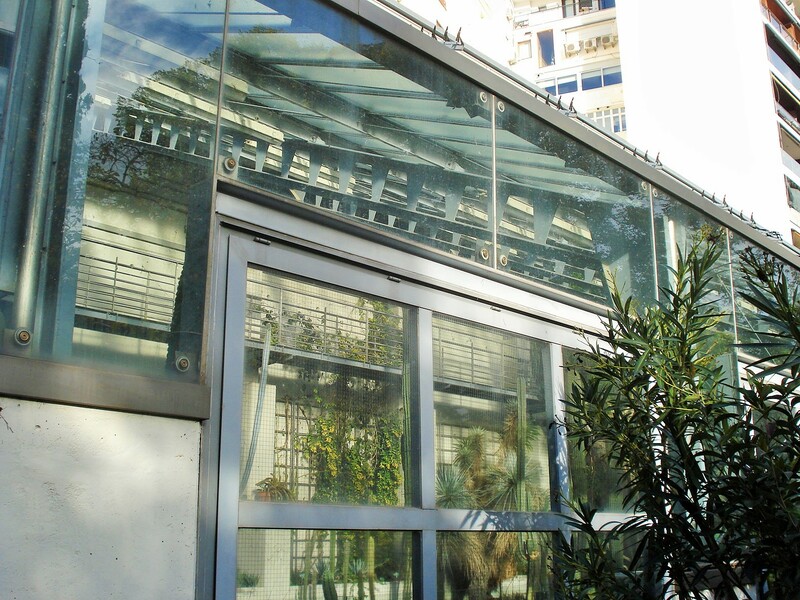 They were designed in the 18th century (1781) during the age of Enlightenment as part of a remodeling plan for the Prado area under Carlos III. 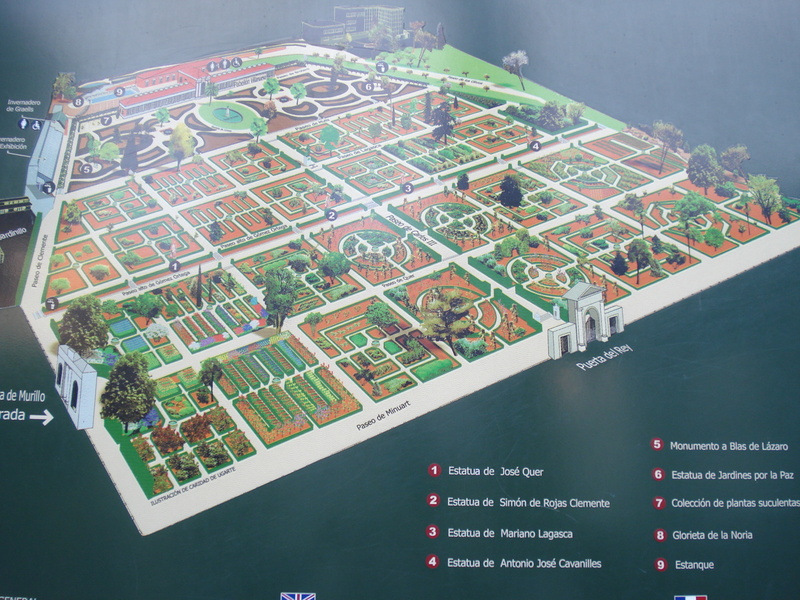 The gardens boast an amazing 30,000 plants, divided amongst smaller themed gardens such as the rose garden, the vegetable garden, the fruit garden, all laid out in squares along the central intersecting alleys. 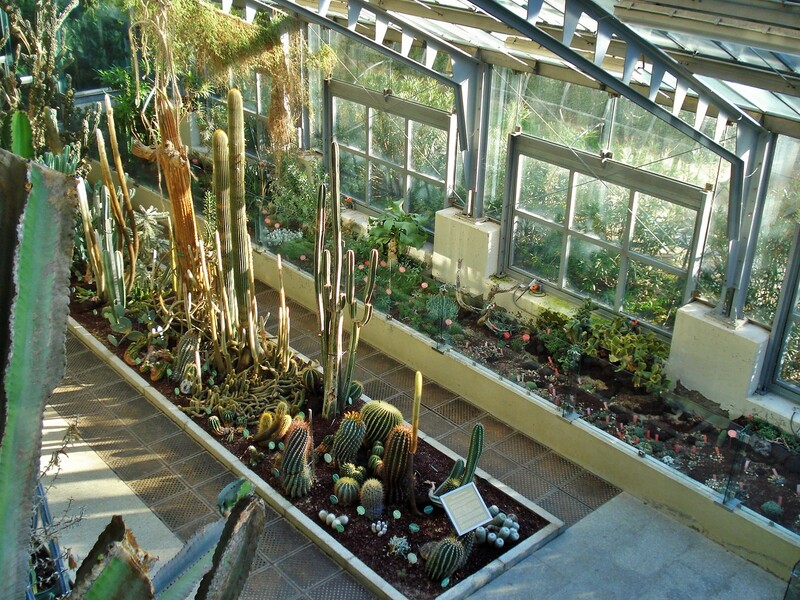 There is also a fantastic complex of greenhouses at one end, as well as a large pavilion and a long arbor covered in many varieties of grapevines. 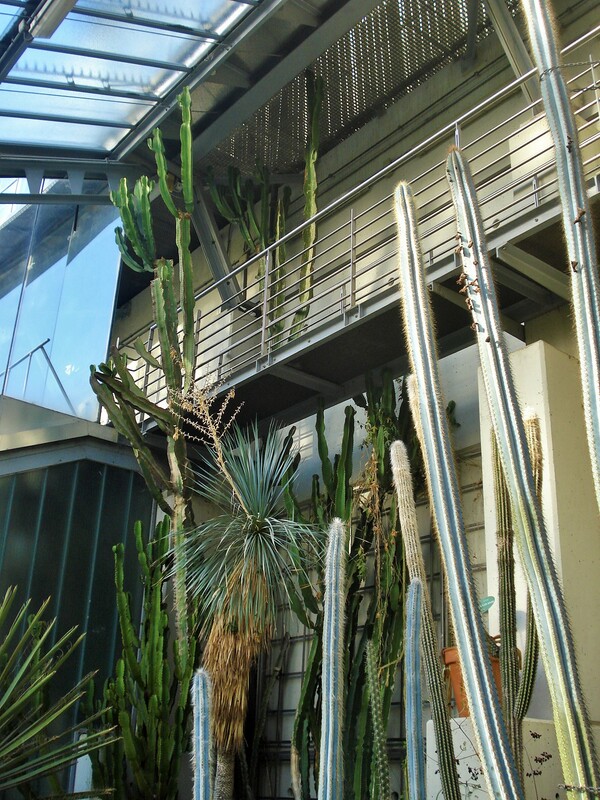 It is laid out on four terraced levels. 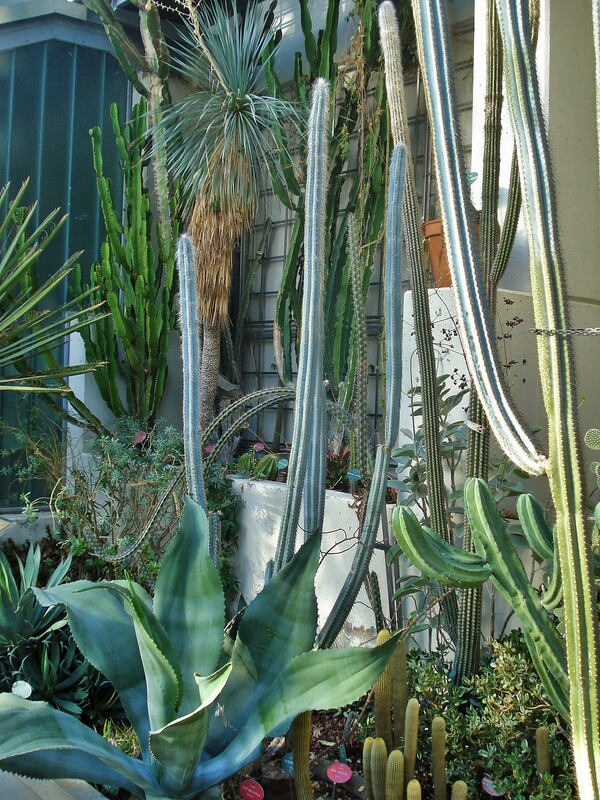 With such large and varied gardens, it would be impossible to cover it all in one post. 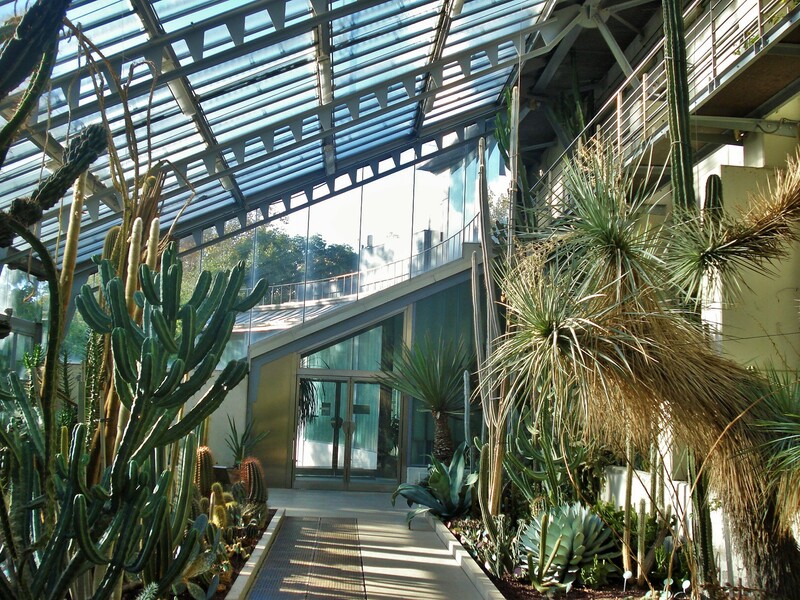 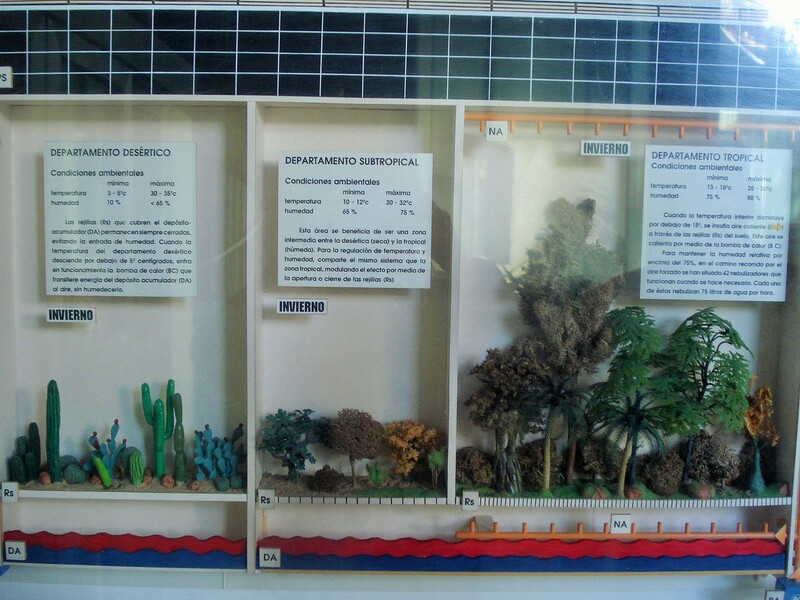 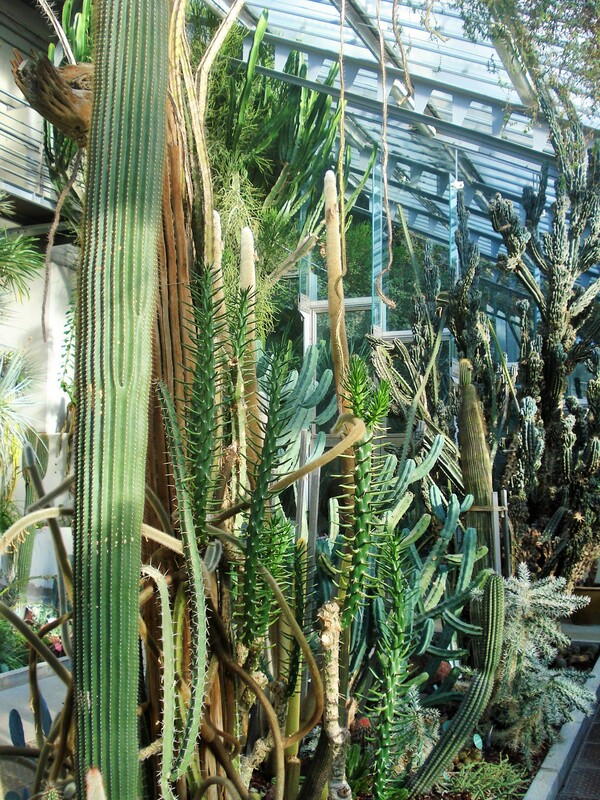 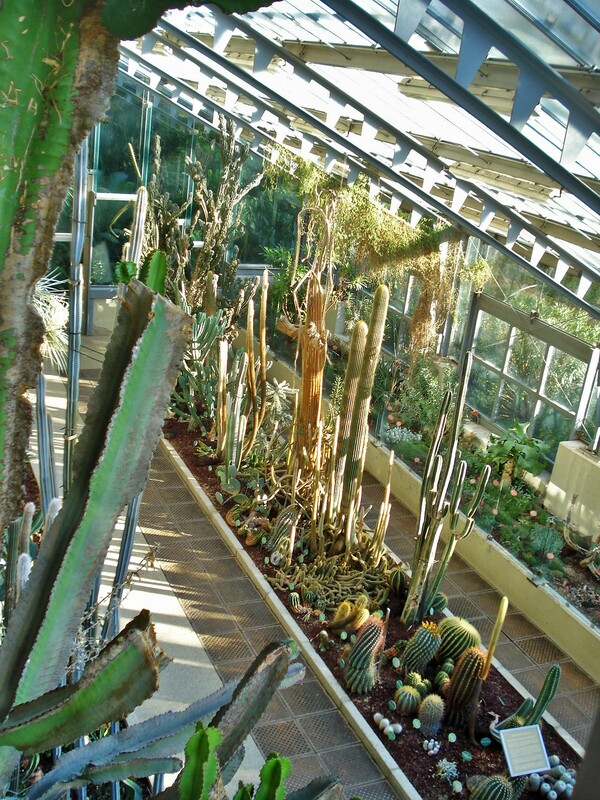 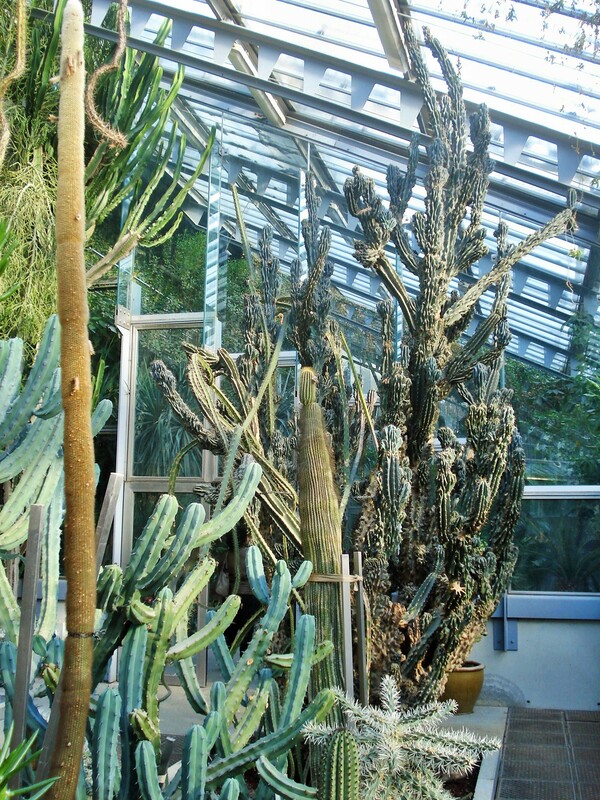 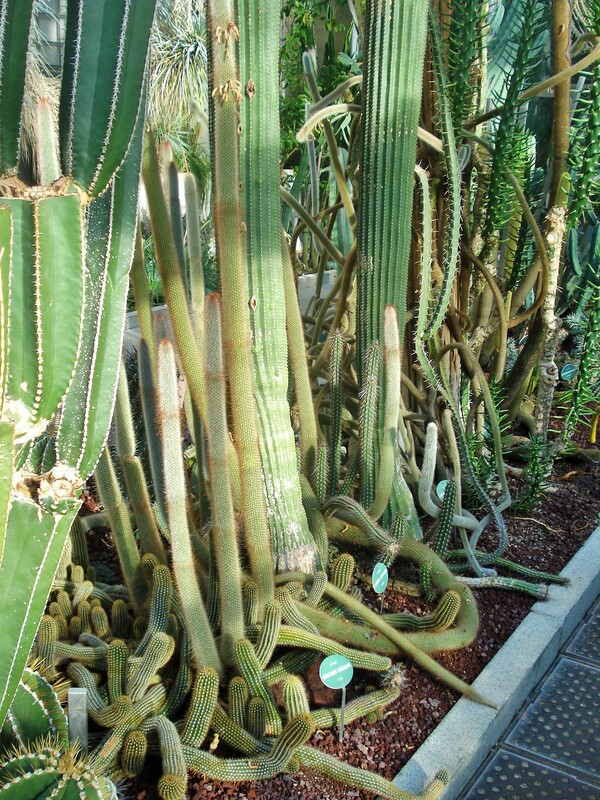 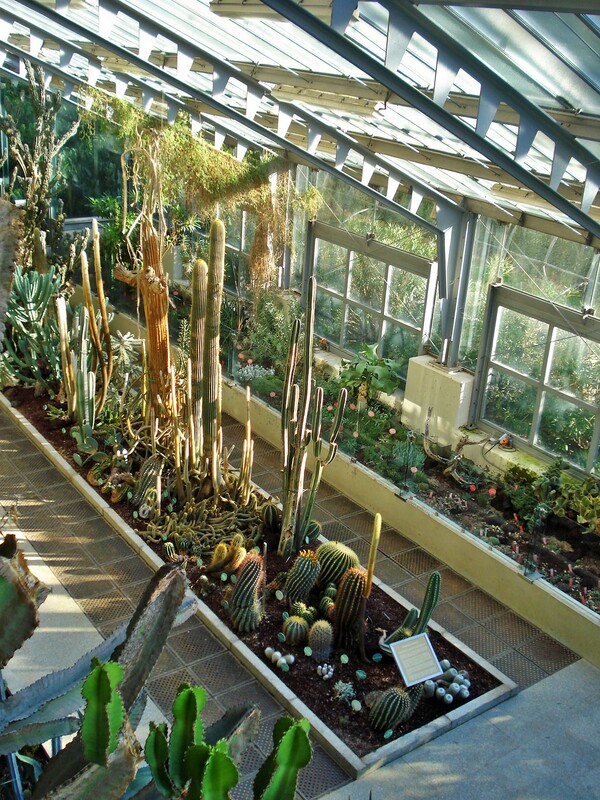 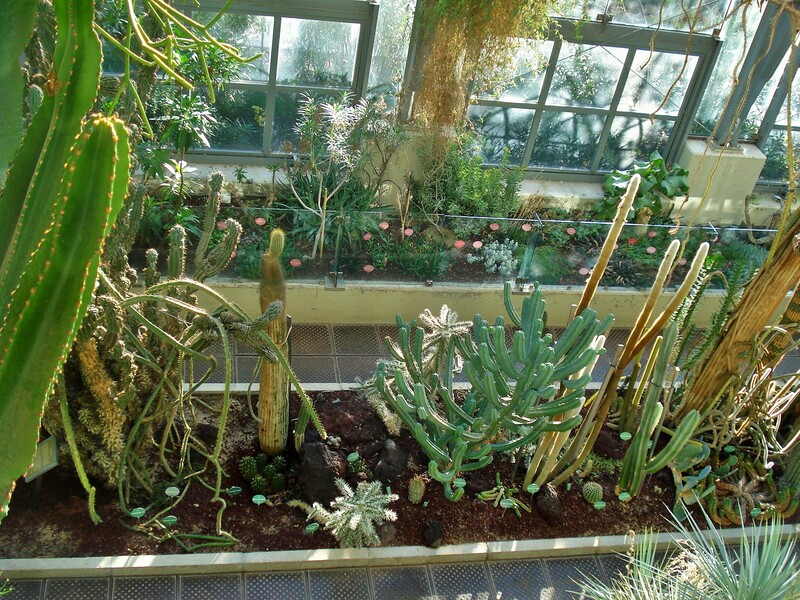 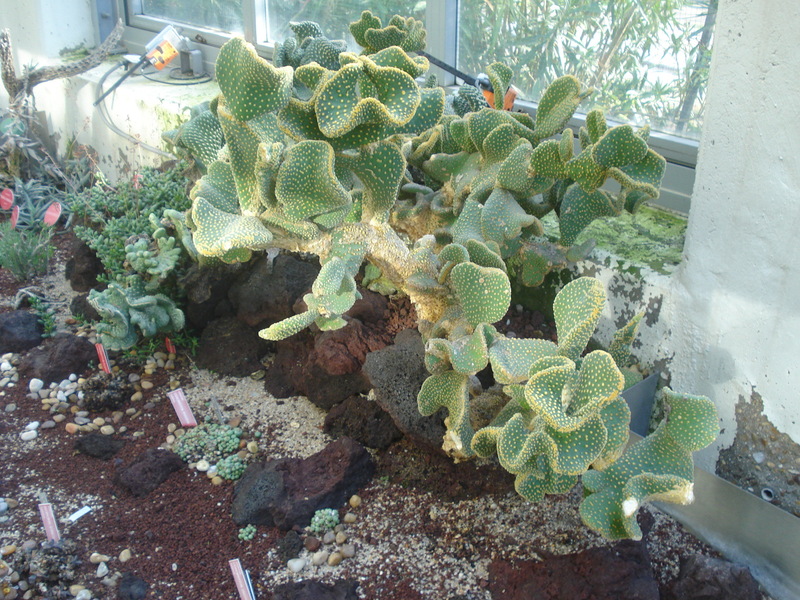 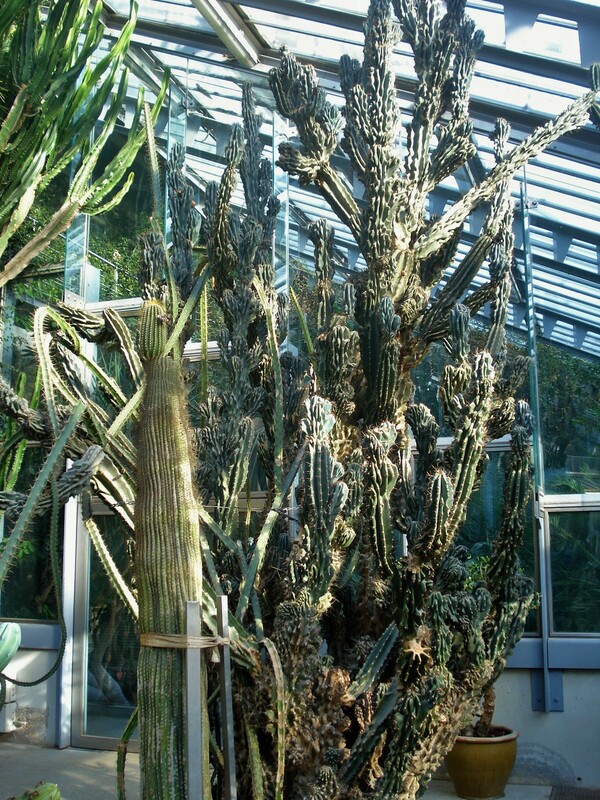 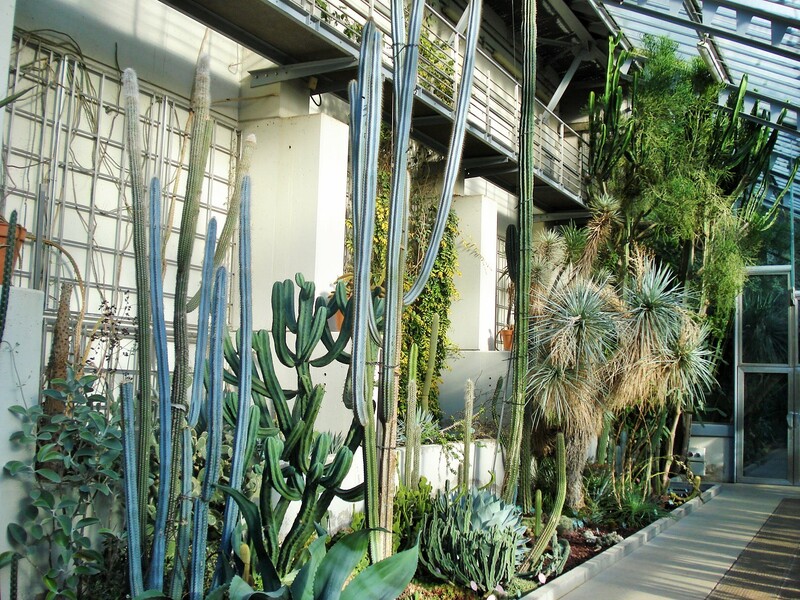 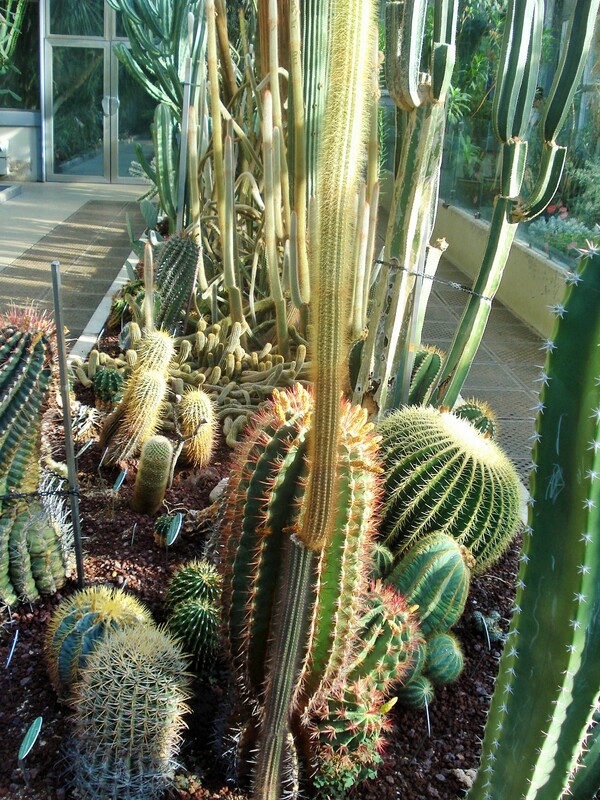 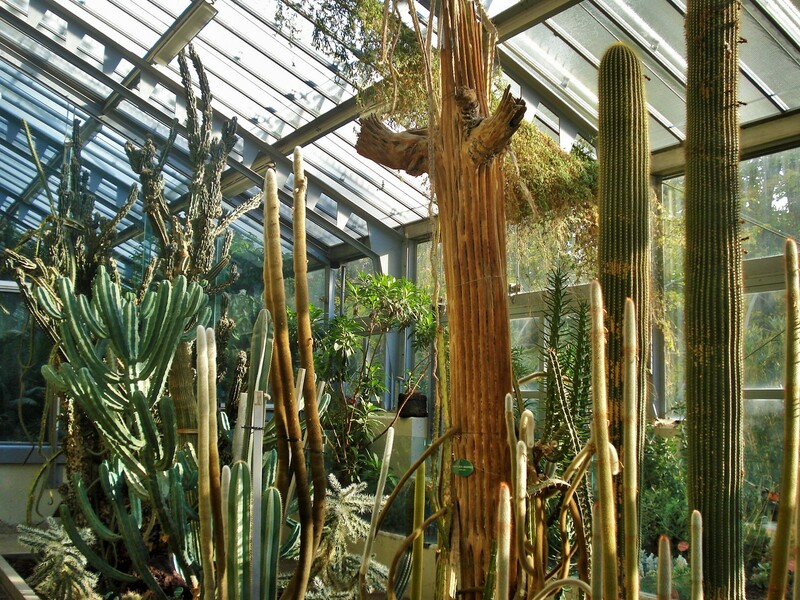 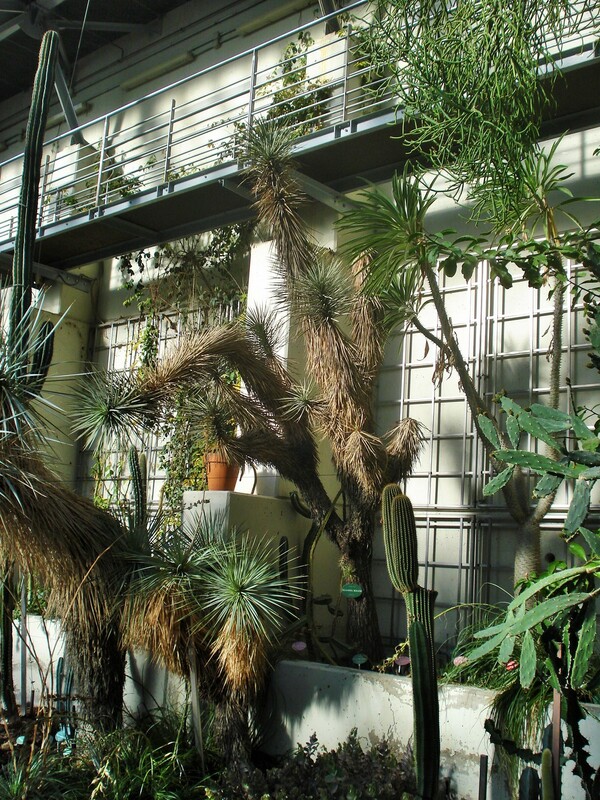 In this post, I am featuring one of the more modern greenhouses, housing the gardens’ succulents collection. 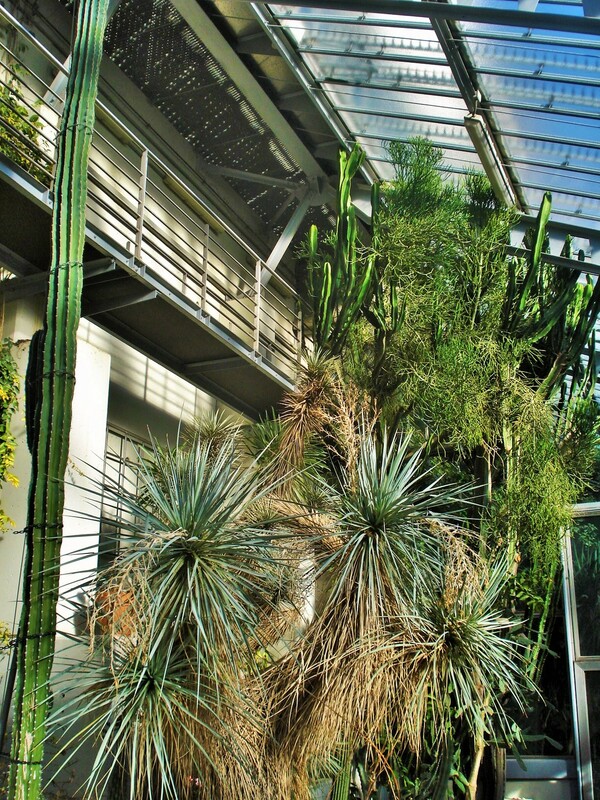 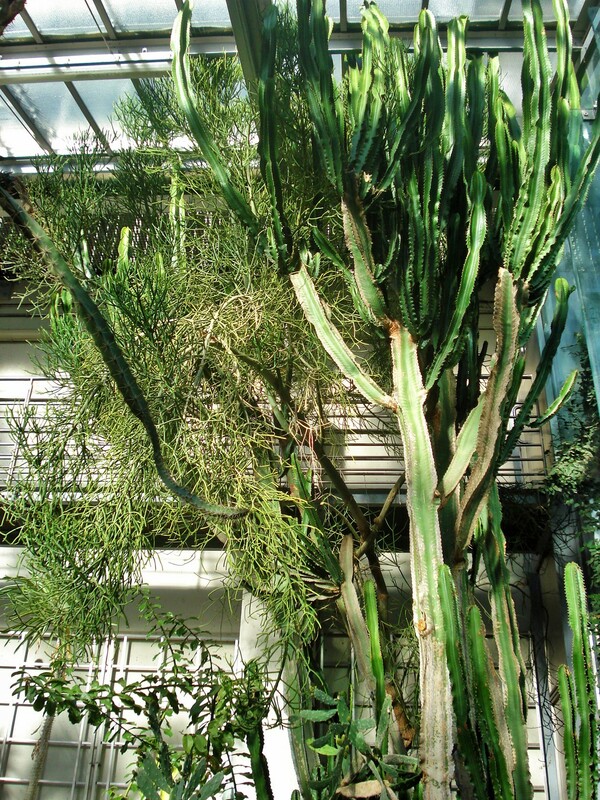 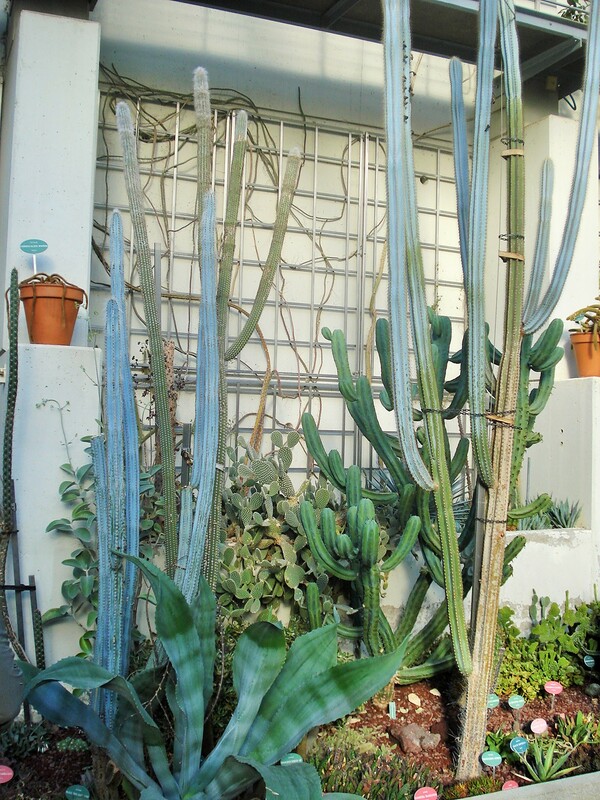 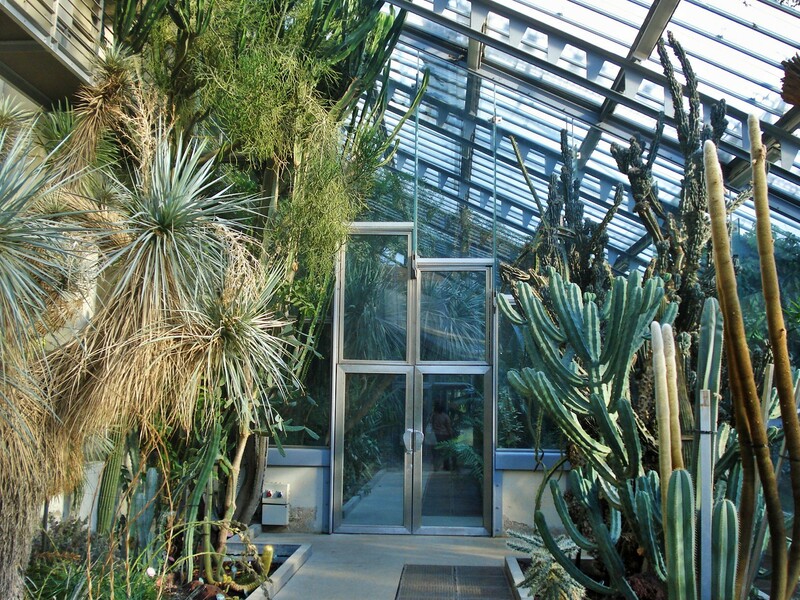 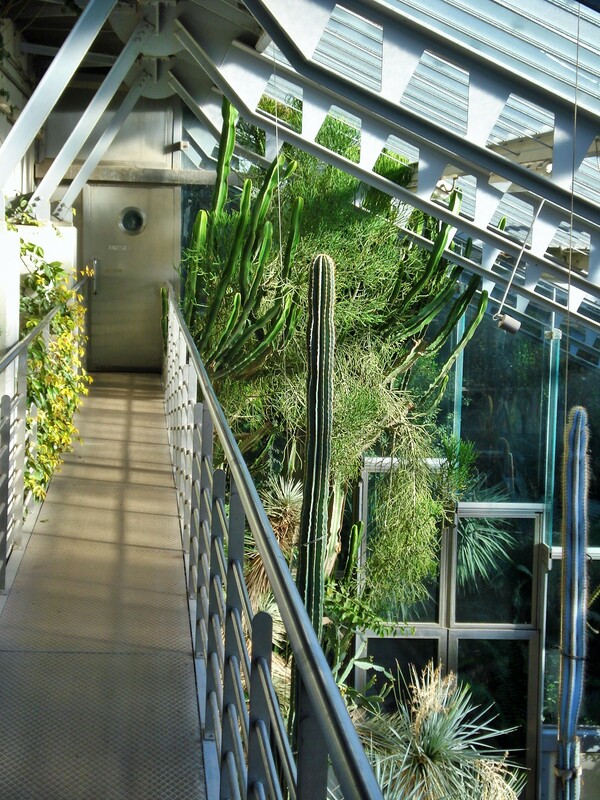 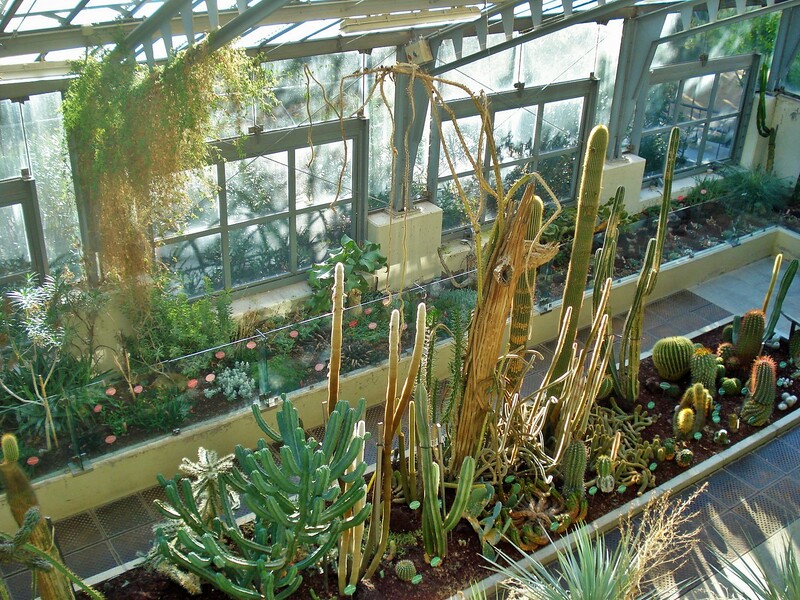 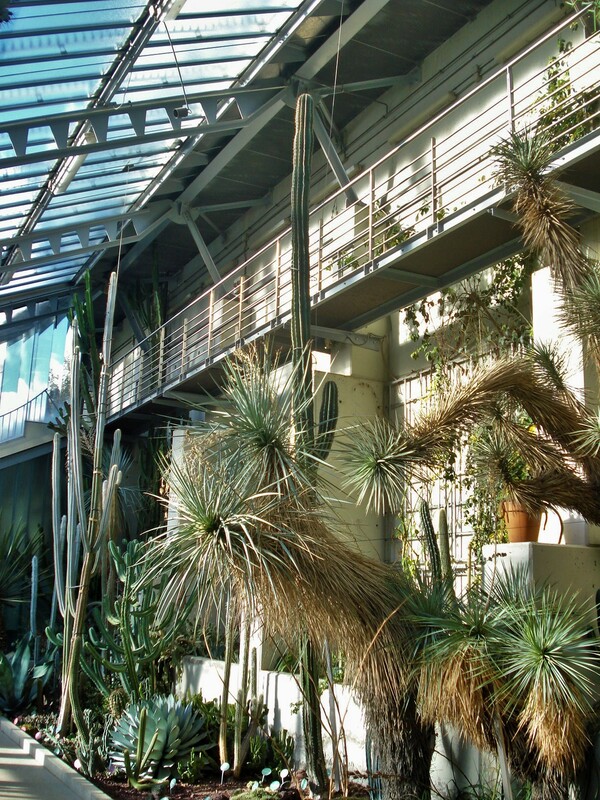 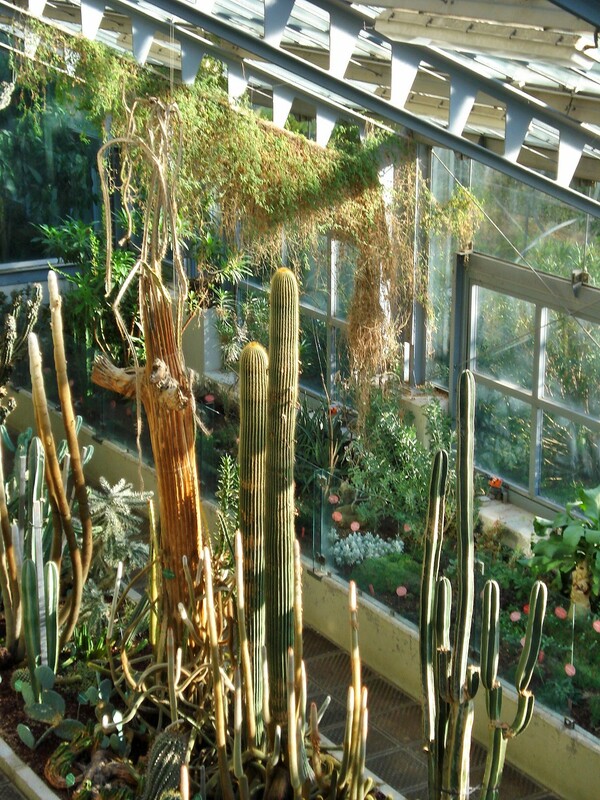 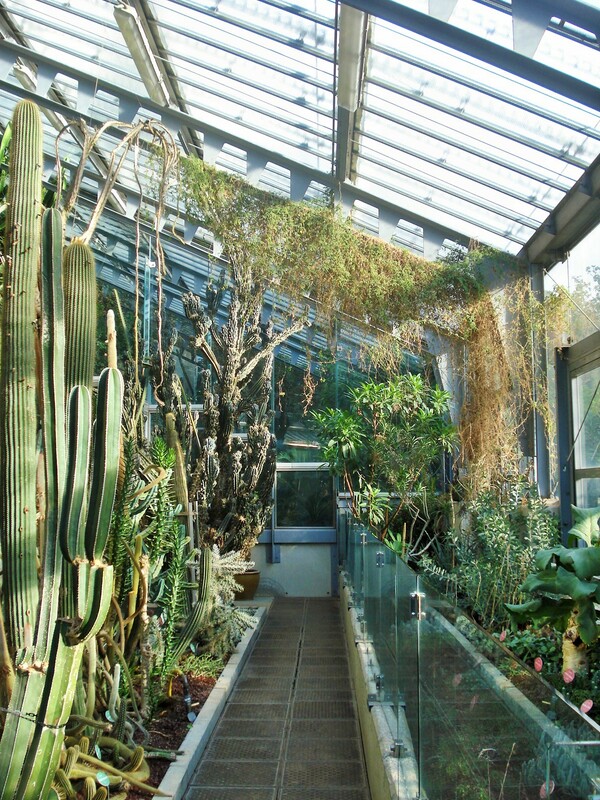 Note the use of vertical gardening on the very tall interior walls, as well as the catwalk along the top joining this greenhouse with the subtropical/tropical one.